ASPHostPortal fully support ASP.NET MVC 2 Web Hosting. MVC includes separation of concerns between the models, views and controllers within an application. Maintaining a clean separation of concerns makes the testing of applications much easier, since the contract between different application components are more clearly defined and articulated. With ASP.NET MVC 2 it allows software developers to build a Web application as a composition of three roles: Model, View and Controller. A Model represents the state of a particular aspect of the application. Cheap and Reliable ASP.NET MVC 2 Hosting? Try Us! 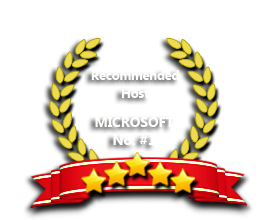 ASP.NET MVC 2 hosting plans at ASPHostPortal.com are compatible with Windows 2003 Hosting with IIS 6 Hosting and Windows 2008 hosting with IIS 7 hosting. It also compatible with MSSQL 2005 Hosting and MSSQL 2008 hosting. Are you looking for best and cheap ASP.NET MVC 2.0 Hosting? Look no further, ASPHostPortal.com is your ASP.NET MVC 2.0 hosting home! Start your ASP.NET MVC 2.0 hosting with only $4.49/month. All of our .NET hosting plan comes with 30 days money back guarantee, so you can try our service with no risk. Why wait longer? Our Windows Cloud Hosting fully supports ASP.NET MVC 2 hosting. You are more than welcome to try our Free Windows Cloud Hosting before you decide to buy. You can get your Free Cloud Windows hosting account up and running within the next few minutes.